I’ll be the first to admit that Australia is yet to ‘crack’ the Nebbiolo formula. Sure, as some of the wines in this tasting show, we’re producing good wines. Real good in some cases (with a particular nod to Pizzini and Coriole). But the gap between Australia’s best and the best from Piedmont is still formidably large – and particularly with regards to tannin shape and balance. Yet in the same sentence, Australian Nebbiolo has come an awful long way. Huge strides in Moreso, acceptance of Nebbiolo has never been higher locally, with top wines from Barolo, Barbaresco and even Gattinara appearing regularly on local lists. It’s a good time to love Nebbiolo. 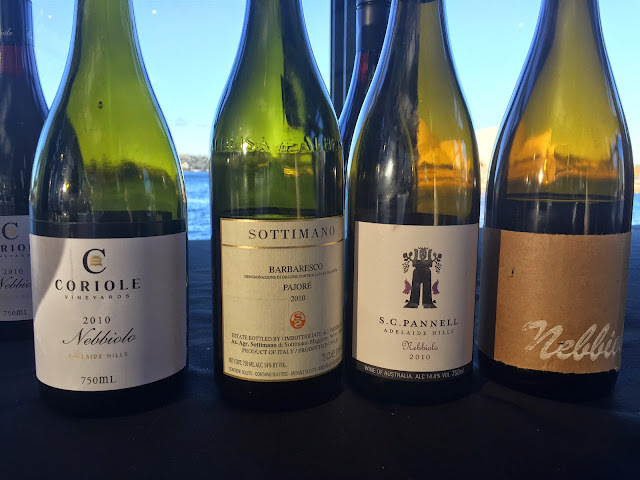 This tasting, put on by Sommeliers Australia, cherry picked a couple of great local and Italian examples too, with the focus here was on the 2010 vintage plus a few likely interlopers added for good measure. 2010, of course, was an excellent vintage in Barolo, perhaps the best since 2001. 2011 is also being spoken of as ’10s equal for Barbaresco, but I’m less convinced that the warmer vintage has produced as balanced wines. Wines were tasted relatively quickly but I went back through everything at least twice. Notes are as written on the day. Prices are approximate RRP.